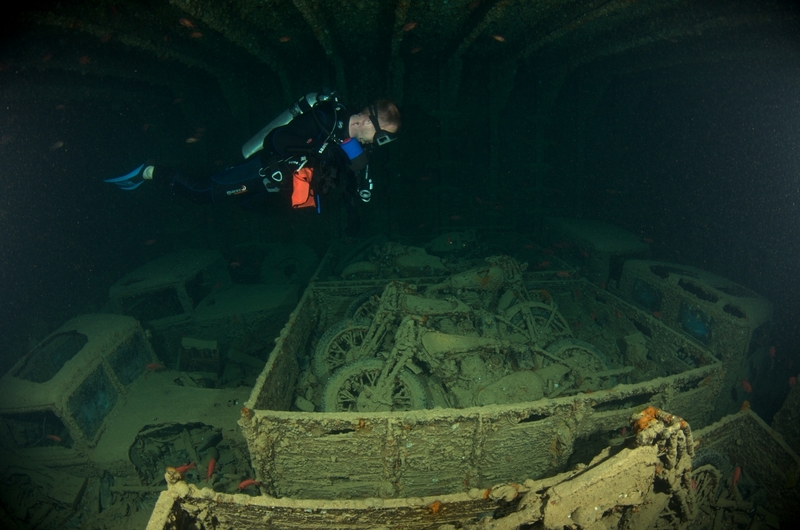 The Thistlegorm was an active British military merchant ship during WW2 that was sunk by German bombers on October 6, 1941. 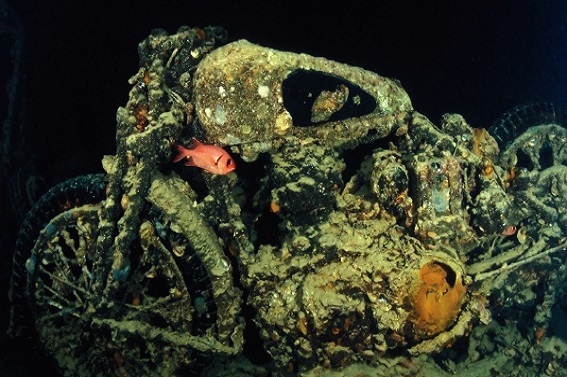 Its cargo has remained intact and relatively untouched; it has been recognized as one of the top ten diving sites in the world. 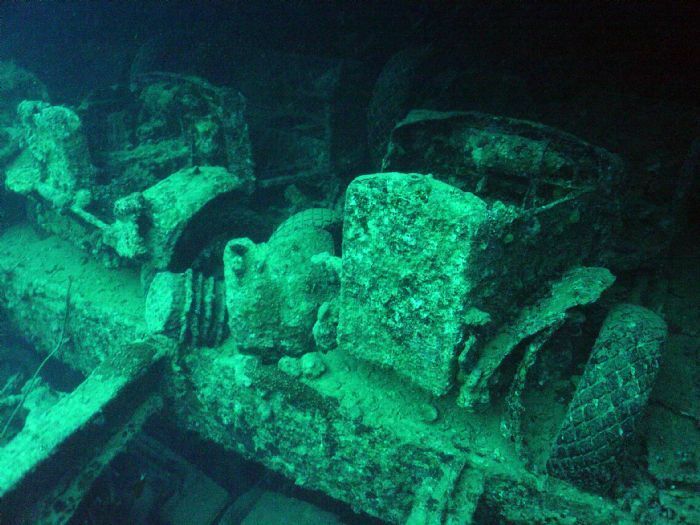 The ship carried a variety of different vehicles including Norton and BSA motorbikes, Bedford trucks, two train engines but most of its cargo was ammunition. This would be such a cool place to see! 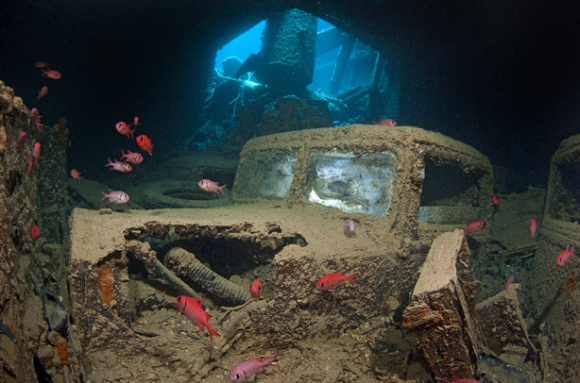 Nature’s way of re-purposing an old ship = turning it into a home for small fish. I love that a ship of war is now a peaceful place for people to view and experience in a different way than it was first intended to be. 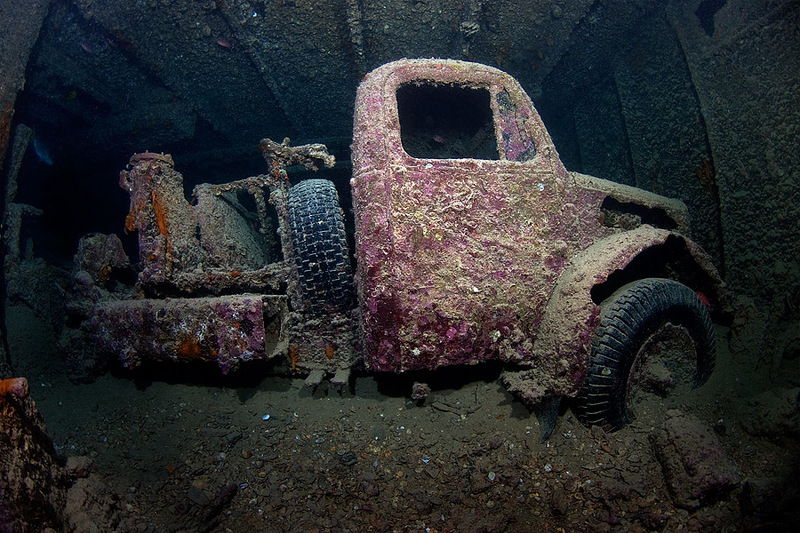 Imagine one of these turned into a road worthy ratrod…. I know it could never actually happen but just think about it!!! Only thing good on that bike is……. um……. Nothing!!! Talk about a basket case!! !